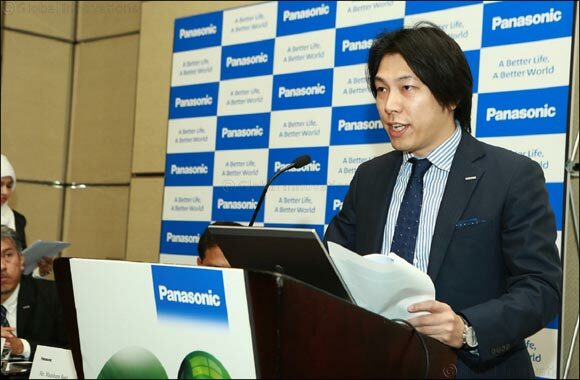 Dubai, UAE, May 30, 2018: Panasonic Eco Solutions Middle East & Africa (PESMAF), a division of Panasonic Marketing Middle East & Africa (PMMAF), continues to help raise further awareness about asthma in view of the increasing rates of asthma prevalence in the UAE. A study conducted across the Middle East revealed that 13 per cent of the country’s population suffer from asthma, which is considered among the highest in the region. PESMAF, recognizing the personal and economic burden of asthma, recently organized an awareness campaign for PMMAF employees in Dubai, in cooperation with the company’s insurance provider AETNA and healthcare group Mediclinic. Panasonic, committed to improving peoples’ lives through its products and technologies, has been actively highlighting good indoor air quality as an important component in managing environmental triggers for asthma care and prevention. In line with this commitment, the Japanese manufacturer has been developing solutions that help in making homes healthier, foremost of which are its line of innovative and high-quality Air Purifiers. The campaign was attended by all PMMAF employees and featured talks from healthcare professionals on asthma care, prevention and free medical advice.